The doctoral programme in Management Science and Operations (MSO) is designed to train scholars to undertake cutting-edge quantitative research (both fundamental and applied) to advanced the understanding of processes and decision making in organisations. Our programme involves a demanding curriculum of graduate-level courses providing strong methodological foundations in areas such as optimisation, stochastic modelling, statistics, econometrics, microeconomics and game theory. In addition, students participate in research seminars, reading groups, international workshops and conferences. Finally, the programme curriculum also includes an innovative field research component. The programme also involves a close mentoring relationship with one or several members of the MSO faculty, a prestigious group of leading academics combining scholarly and practical impact. This relationship involves intense collaborative research work culminating in the writing and defense by students of a doctoral dissertation. Reflecting the widely recognised expertise of the faculty, examples of possible research areas include: health care delivery, pricing and revenue management, supply chain management, information technologies, humanitarian logistics, electricity and energy economics, portfolio management, finance, retail operations, stochastic modelling, optimisation, service operations, decision analysis, simulation, project management, and innovation and new product development. 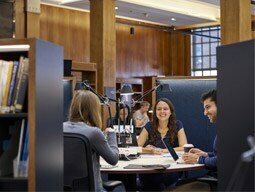 Because of its London location, vibrant campus environment, student activities and community, London Business School offers students and their families a unique life experience. 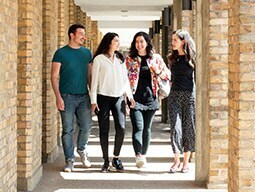 The LBS community also includes a large and active international alumni base providing lifelong engagement and opportunities. Reflecting our commitment to world-class doctoral training, MSO PhD students receive a scholarship covering all tuition fees and a substantial annual tax-free stipend (stipend level reviewed each summer). The financial support is for 5 years, subject to satisfactory progress. Students normally take between four and five years to complete the programme. We do not offer arrangements for part-time studies. The MSO PhD programme only recruits students through the annual London Business School PhD application process. Admitted students have a strong analytical background, often holding Bachelors or Masters degrees in mathematics, physics, engineering, computer science, or economics, and have demonstrated clear potential for a successful academic career. Research proposals are not solicited as part of the application process, and MSO prefers GRE over GMAT test scores. In addition, MSO applicants are encouraged to submit a GRE subject test score in a quantitative discipline such as mathematics or physics. We do not provide admission chances without receiving full applications submitted as part of the annual admission cycle. Check our frequently asked questions page where we have answered most queries.